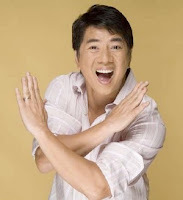 It's safe to say that it is every unlikely that Willie Revillame will ever be a Supreme Court justice. But can we be just as certain with regard to the prospect of Revillame possibly making a bid for a seat in Congress or even the Presidency someday? Among the three branches of the Philippine government, it is only the judiciary that requires specialist expertise in the officers who serve within it. Compare that to the executive and legislative branches where actors, boozers, retards, rapists, has-been comedians, and other losers and misguided mutineers all have a better-than-average shot at a lucrative seat within them. The last vote was a resounding rebuke to the Arroyo administration; it was not only President Benigno Aquino III’s solid plurality, but an overwhelming three-quarters of the electorate, which voted against the Arroyo legacy. [...] The Court’s striking down of key initiatives of the Aquino administration, such as the recall of midnight appointees and the creation of the Truth Commission, must be understood, therefore, as attempts to limit the mandate expressed in the last election. What is wrong with this point of view? Simple. It pits the popularity that mandates service in the executive branch against the logical rigor that underwrites service in the judicial branch. Granted that the logic applied by Supreme Court justices may often be flawed or tainted by agendas, there is a framework -- the legal framework -- that provides a construct against which the quality of said logic may be evaluated. In contrast, for the executive and legislative branches, there is only "the people's will". With this "people's will" as the only construct upon which any evaluation of the posturings of the officers of the executive and legislative branches can be made, every argument, every discussion, and every speculation can only lead to a thinking stopper -- politics. Top Gun blogger Ben Kritz sums it up in a single statement: The Court of Public Opinion is not Part of the Justice System. Though politics may, if allowed to, taint the credibility of the High Court, there will always be due process and a crystalline frame of reference to clarify the muddle. No amount of popular opinion will break that which is right by the Law -- a law whose key components were formulated by representatives elected on the basis of this same popularity.